Because it is GOOD for us. Because it is GOOD for the Church and for the world. John became a Catholic Christian at the age of 27. Before converting, he attended an evangelical megachurch. He has shared his conversion story on the EWTN show, The Journey Home, and on the SiriusXM show, Seize the Day. In 2013, John began working with The Dynamic Catholic Institute. The mission of Dynamic Catholic is to re-energize the Catholic Church in America and to be the innovative leader in the New Evangelization. Each year, the organization touches millions of people with life-changing Catholic content. John’s role at Dynamic Catholic is to help generate the funds needed to advance the mission of the organization. Prior to joining Dynamic Catholic, John had a long career in the financial services industry, where he held leadership roles at T. Rowe Price, Bank of America, and most recently MetLife. As an officer of MetLife, John was responsible for a business with $200 million of annual revenue and nearly 150,000 insured customers. As a husband and the father of four sons, John is deeply concerned about the culture being passed onto his children and succeeding generations. His work at Dynamic Catholic is fueled by his love for his children and his belief that the world desperately needs a vibrant Catholic Church. 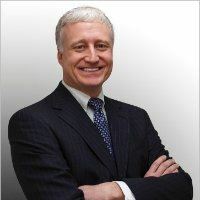 Before joining Dynamic Catholic, John frequently spoke before organizations such as the New York Society of Actuaries and the International Society of Certified Employee Benefit Specialists. In his current role, John speaks before groups of all sizes across the U.S. John received a B.A. in Economics and Political Science from the University of Richmond and lives in Cincinnati, Ohio.